2015 will be a big year for digital display and banner production. Here are 4 trends to watch out for. 90% of our web browsing is now done on mobile. As we all know there are many different smart phone sizes and these all need to be catered for, so to help with this we can now use HTML5 responsive banners. 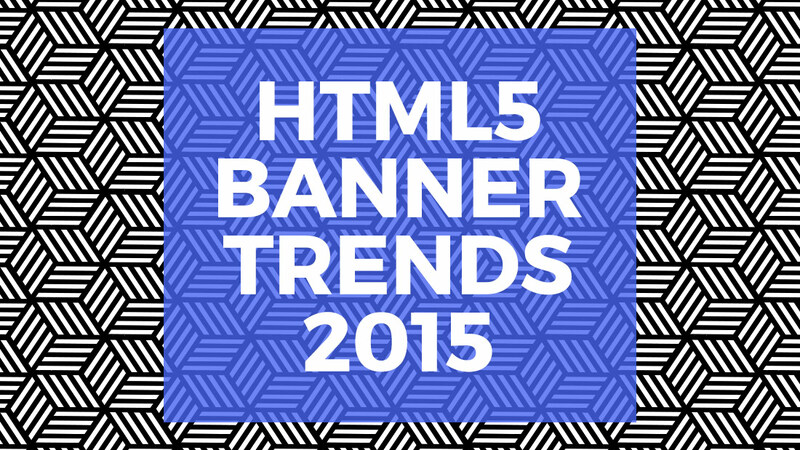 HTML5 banners are used across a number of formats and scale to fit. much like modern websites and apps. The features of responsive ad formats were very limited last year due to do the complexity of making them work on every screen. However 2015 will make these banners much easier to make. These platforms although good do not allow as much customisation as allowed in Flash. Only time will tell which becomes the market leader. If you are looking for more customisation it’s possible to use Flash html5 export. Flash HTML5 export is good because it works on the majority of mobile devices. 3. Birth of the Rich Media HTML5 ads. Flash banners used to be very rich and HTML5 has failed to deliver so far. However this will change in 2015, expect to see better ads built in HTML5. We all know that personalisation is a big part of advertising. In 2015 we’ll see an increase in geolocation, live data and social media stream integration. Advertisers are also seeing the benefit of using retargeting campaigns which allows users to see display ads once that they have left a particular site. The web will follow customers around! If you need any help and advice about digital banner production please get in touch.